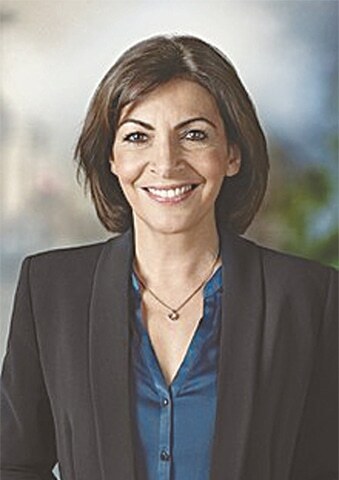 ANNE Hidalgo, the mayor of Paris, is determined to impose restrictions on all diesel-driven, even petrol-driven cars in the streets in order to save the French capital from atmospheric deterioration. Most of the residents agree, but then her policies have a few sceptics too. Last week, popular French philosopher Luc Ferry said during a radio broadcast that though the idea of a pollution-free city sounds terrific, one must also give some thought to what it takes to manufacture the outsized batteries that cause the electric cars to run. Daily Le Figaro lost no time in bringing to light, in a page-and-half long article, a few little-known facts concerning the question. The consumption of cobalt alone, a metal used for centuries to add a bluish tint to brooches and bracelets but now a basic element in the electric car batteries, has multiplied by thousands and its price has gone up from $25,000 to $80,000 a tonne. But that is only a tiny example as demands for many other metals such as nickel, copper and gallium have also exploded, for they are being used not only in car batteries but also in smartphones and laptop computers that are now manufactured for billions of users around the world who normally dump them in trash cans once these wonder instruments stop working. Another little known metal is palladium which was discovered in 1803 and has so far been used only in jewelleries because of its resemblance with silver. Today it is an indispensible part of car batteries and smartphones with its price going up to $1,000 per ounce. Then you have a mineral with the strange sounding name ‘rare-earth’. It is composed of 17 different metals and the Chinese have total monopoly over its trade. But digging up palladium and rare-earth is another story! Studies show that 20 out of 23 such rare metals used in electric batteries are exported by Chinese companies who have exclusive or near-exclusive rights to exploit them from African and South American mines using huge tractors and explosive devices that create 10 times more pollution that they are supposed to suppress. The Chinese are getting bigger and bigger in the field as shows a recent deal through which the American group Freeport-McMoRan sold 56 per cent of its shares in the Katanga copper and cobalt mines in Congo to a Chinese enterprise for $1.5 billion. To come back to Paris, the mayor has already offered free parking places to cars with purely electric or hybrid engines while owners of traditional vehicles will have to pay higher rates. But even this advantage will end in 2020 if Anne Hidalgo is re-elected to her second six-year term in office. She has promised to totally ban the petrol or diesel driven cars in the city!